We handled festival publicity and the North American DVD and VOD release of The Evil Within, the first and only film directed by the late Andrew Getty. 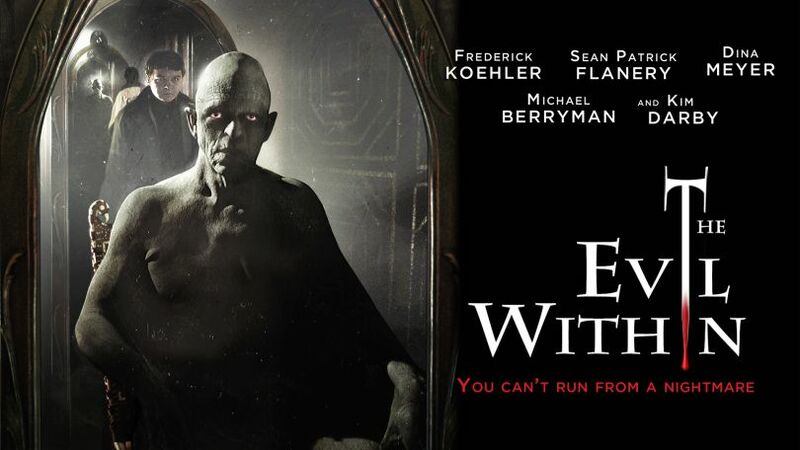 The Evil Within is a horror film that follows Dennis Peterson (Frederick Koehler), a mentally challenged teen who lives with his older brother John (Sean Patrick Flanery). While John struggles between caring for Dennis and maintaining a relationship with his increasingly impatient girlfriend Lydia (Dina Meyer), Dennis finds a friend in his own reflection in an antique mirror. But in reality, the reflection is soon revealed to be an Evil Entity (Michael Berryman) who is more charming, smarter and stronger than Dennis, and instructs him to do horrific things in order to ‘fix’ his brain. Tortured and confused, Dennis embarks on a murderous rampage, collecting the bodies in his basement. A police investigation, helmed by a determined social worker (Kim Darby), targets the Peterson’s in an attempt to uncover the truth behind the murders. With the walls rapidly closing in, Dennis makes his final play…with dire results. Publicity highlights include interview features in The Hollywood Reporter, People Magazine and The Guardian, a series of stories by Birth Movies Death throughout the week of release, and articles secured with Joblo.com, LADbible, Vulture Hound Magazine, Flickering Myth, Cine Outsider, Dread Central, Horror Town, Dangerous Minds, Dark Universe, My Bloody Reviews, Scared to Watch, Horror Society, Realm of Horror, Horror Talk, Horrorpedia and several additional horror genre blogs.